Many were confused on Friday, January 30th, 2015 when several multimillionaires bought millions of shares of stock in companies who specialize in skiing and snowboarding equipment, road salt, snow blowers, and sleds. 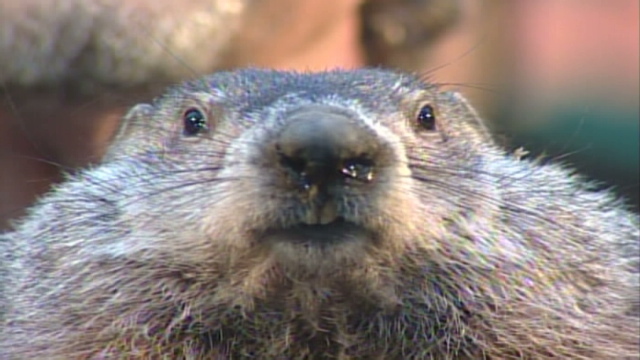 Three days later, on the morning of Monday, February 2 the Nostradamus of the rodent world, Punxsutawney Phil, saw his shadow, predicting another six weeks of winter. At first these two occurrences seemed unrelated, but soon it all became clear. After some clever detective work by a couple of dedicated FBI agents, it was revealed that Punxsutawney Phil and the aforementioned multimillionaires were involved with some insider trading. It turns out Phil knew that he was going to see his shadow and passed this information along to his wealthy friends. They in turn invested their money in the industries that would be greatly benefitted by a lengthy winter. Since this scandal was revealed, the investors have been placed in police custody to await trial. Punxsutawney Phil on the other hand bolted as soon as he saw the officers arrive at the entrance to his burrow. Being the prognosticator he is, Phil had the foresight to create a network of underground tunnels that would make locating him near impossible. The search continues at the time this article is being written, but if Phil is apprehended updates will follow. If you liked this article, please be sure to share it with all of your friends by using one of the share links to the left of the article. Thanks for reading!